Robbie Sherwell became internationally renowned for knocking out 3 world champions to win the Quicksilver Pro at Burleigh Heads on the Gold Coast in 1994. His professional surfing career extended for over 10 years, and he was ranked #5 in the world. Robbie is XL Surfing Academy’s lead elite coach sharing his immense technical & competitive expertise with the intermediate & advanced rising stars of the surfing world. Carlene Sherwell is the incredible business powerhouse leading & managing operations along with the XL team, in between hitting the waves herself & coaching beginner & intermediate surfers. 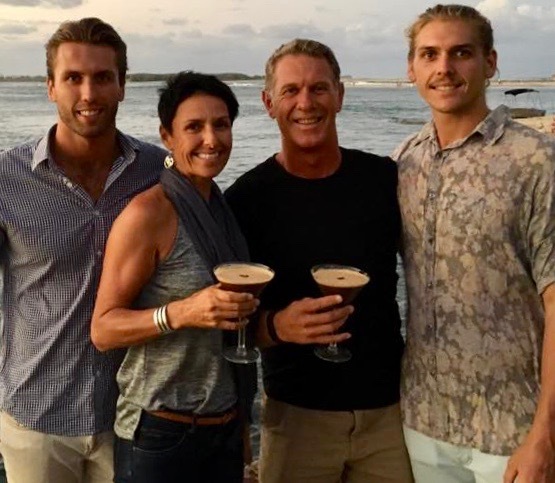 XL Surfing Academy is very much a Sunshine Coast family legacy with Robbie & Carlene’s two sons Josh & Joel both accomplished & recognised surfers within their own right. The Sherwell’s, along with a dynamic & super qualified team of coaches, managers & crew—live, breathe & are passionate about surfing & helping others develop their skills & love of surfing too. When the team are not out surfing, looking for fresh surf spots both within Australia & overseas, or giving the latest surf report on radio or TV, you’ll find the XL team out in the water enthusiastically helping & encouraging locals, corporates, groups & visitors to the coast to get the very best out of their surfing experience. Meet the whole XL crew here.